In a small saucepan, bring oats and milk/water to a simmer, stirring often. Let thicken and add more liquid as needed. Add maple syrup, almond butter and cinnamon, stir to incorporate, and remove from heat. Let cool for 5 minutes before stirring in FlavaMix. 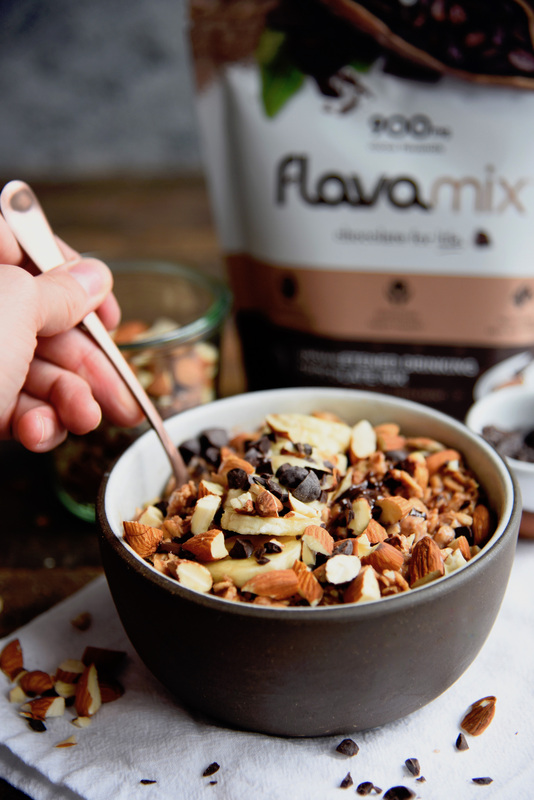 Spoon into a small bowl and top with sliced banana, chopped almonds and cacao nibs or chocolate. Enjoy!